Stuck for something to eat for supper? Bored with the same old foods for brunch? 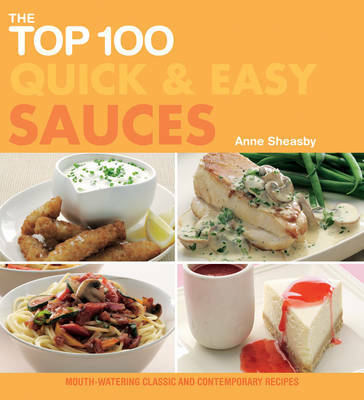 Here, in this pocket-sized book, are a hundred of the very best sauces to give you inspiration and practical help to create exciting, delicious meals - all quickly and easily. Whether you're looking for a simple classic, such as a Veloute Sauce, to enrich a chicken or fish dish; a mouth-watering sauce, such as Hazelnut Pesto, for pasta; or an exotic sauce, like Kiwi & Lime Sauce, to serve with Fresh Fruit Kebabs for dessert, they're all here - and more! Instead of relying on ready-made sauces, which are often low in taste and high in unhealthy additives, you can make your own sauces effortlessly and inexpensively. Whether you're new to the kitchen or an experienced cook, you'll find creative ideas for turning simple foods into standout dishes. Each recipe is accompanied by a serving suggestion, and many include variations and cook's tips. Transform your meals into culinary delights with versatile sauces from all over the world.